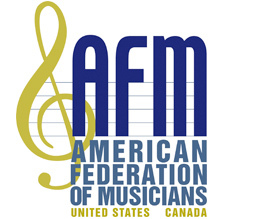 After years of negotiating and lobbying, the AFM saw the implementation of standard rules regarding musical instruments as carry-on and checked baggage. As of March 2015, musicians are allowed to bring certain musical instruments in-cabin on US carriers. Here are some airline travel tips for musicians. Tell the airline that you will be transporting a musical instrument. Air carriers are required to adequately inform passengers about limitations and restrictions to travel with instruments. Book priority seating, requesting or purchasing early boarding. 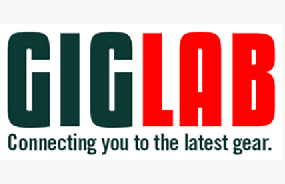 On-board stowage rules apply to any instruments that meet FAA carry-on size requirements. Remove any sharp tools and all liquids that do not comply with TSA’s three-ounce regulation. Have a proper travel case, in the event that your instrument is not allowed in the cabin. Board early. Overhead stowage is on a first come, first served basis. Once an instrument is stowed in-cabin it cannot be removed or replaced by other bags. If you are stopped by a flight attendant, calmly and quickly explain the precautions you have taken to prepare your instrument to safely travel in-cabin. Do not block the way of other boarding passengers. If necessary, ask to deplane so that you can resolve the matter with airline supervisors. Remember, you have approximately 15 minutes before the plane backs away from the gate. Be prepared for the possibility that you may not be able to travel with your instrument in the cabin. It is important to have a backup plan. Keep a link to the Department of Transportation Traveling with a Musical Instrument web link (www.dot.gov/airconsumer/air-travel-musical-instruments). The AFM has developed comprehensive manuals: A Guide to Traveling with Musical Instruments (34-page guidebook) and A Guide to Flying with Musical Instruments (eight-page pocket guide). To find these resources, log into afm.org and go to “Document Library” and open the “Legislative Office” folder.